Project your advert across an extensive portfolio of 6 Sheet billboards located at UK train stations, with Transport Media, the rail advertising specialists. 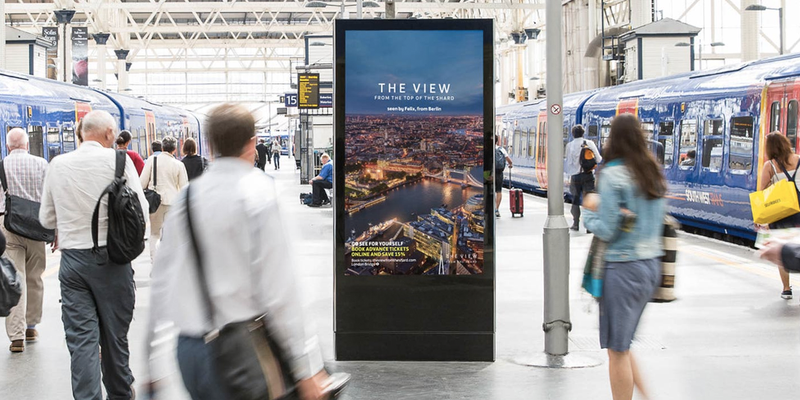 Available as a standalone static advert or as part of a scrolling loop, 6 Sheets are perfect for swiftly captivating busy urban travellers as they stand in fast-paced corridors and concourses. 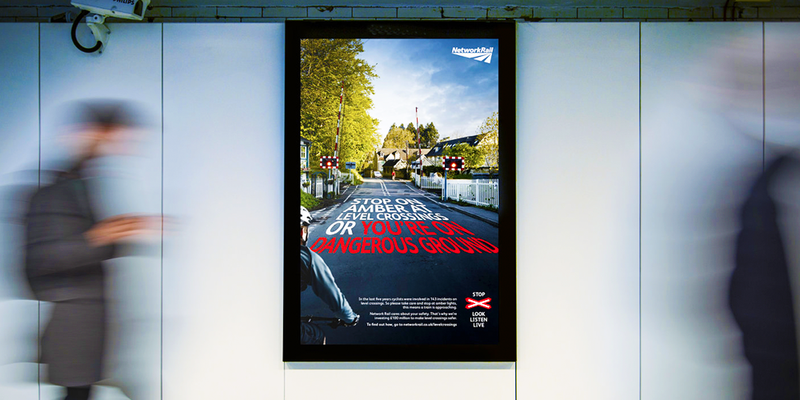 Target rail users throughout the UK with Transport Media, using 16 Sheet Cross Track billboards located across station platforms facing your desired audience. Reach communities nationwide using this dominating format, enjoying an average 7-minute dwell time as passengers wait for their train opposite your 16 Sheet Cross Track advert. With guaranteed exposure, your advert is perfect for campaigns requiring more complex or lengthy messages as onlookers have sufficient time to digest the creative. 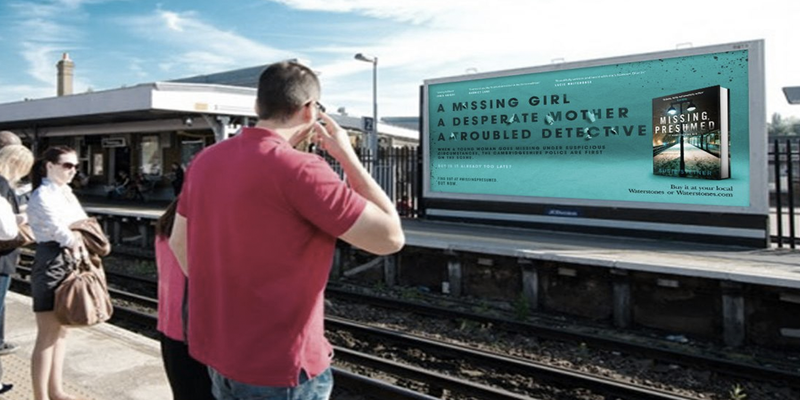 Allow your brand to infiltrate the public mind-set using 4 Sheet billboards located at UK train stations, with Transport Media, the rail advertising specialists. 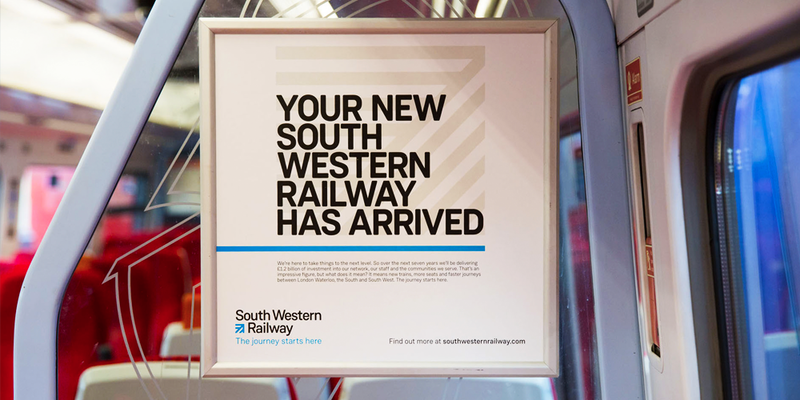 Allowing smaller budget campaigns to gain access to large audiences, 4 Sheets are concise enough to be placed in locations directly facing rail passengers, from footbridges to platforms and concourses. 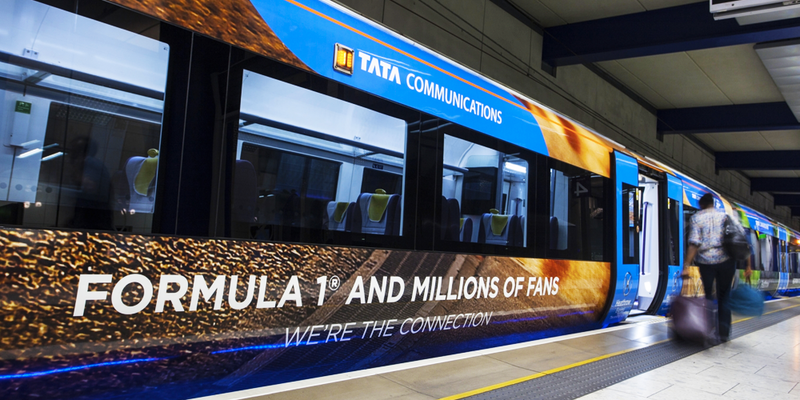 Allow your brand to stand out throughout the duration of a train journey, with Passenger Panels and Carriage Cards from Transport Media, the rail advertising specialists. Elevated above standing height or occupying walls opposite seated passengers, these in-car adverts are a great way of infiltrating dense urban audiences and gaining widespread coverage for your campaign. 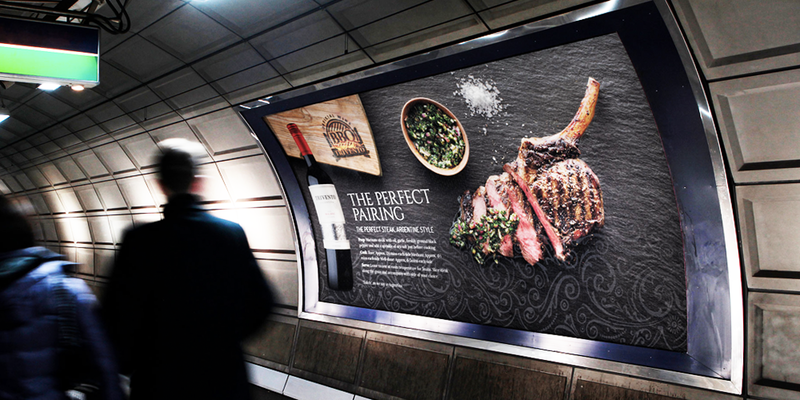 Reach to consumers by advertising on the first and last advertising format they will see at the train station. 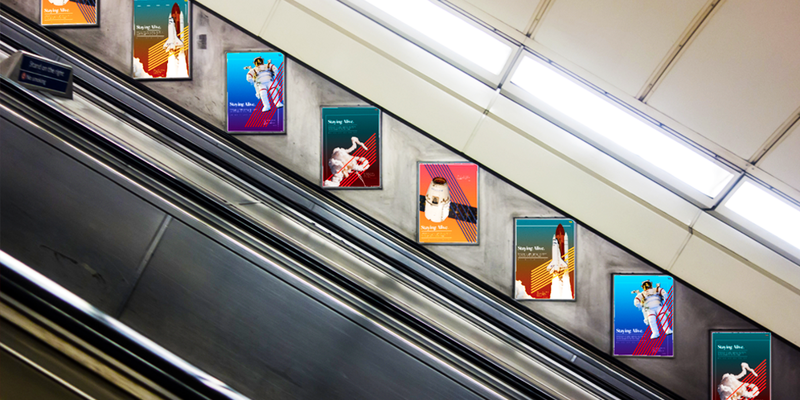 Reach the whole of the UK by advertising in train stations, with 12 Sheet billboards from Transport Media, the rail advertising specialists. 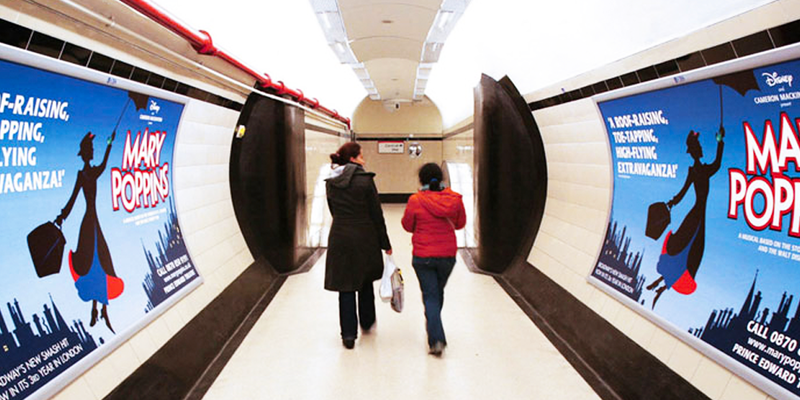 Situated in station walkways and on platforms, 12 Sheets offer exposure in high footfall locations and allow advertisers to tap into these hard-to-reach audiences. Target premium rail audiences in the UK by presenting your brand across 48 Sheet billboards, with Transport Media, the rail advertising specialists. Standing at the same height as a 96 Sheet billboard, the 20-foot-wide canvas can powerfully showcase your business to a local population, with 48 Sheets also working effectively as reinforcement for a national or multi-format campaign. Own individual carriages or full trains with full wraps. A perfect format for a branding exercise.